Did you know that many of the largest inland lakes, rivers and water systems in the entire world are located in Ontario Parks? We think that’s pretty cool and on top of that, Ontario Parks also offers park locations with gorgeous sandy beaches, including the world’s longest freshwater beach at Wasaga Beach Provincial Park. You’ll also find lovely white sand beaches at Sandbanks Provincial Park on Lake Ontario, where beautiful Outlet Beach offers shallow waters and a gentle drop off – this is the perfect beach for families to with young children to enjoy. Remember parents, even in the shallow waters at Outlet Beach, you and your kids should be wearing lifejackets while enjoying the water. 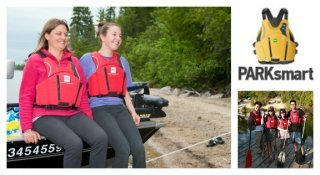 Many Parks have the PARKsmart Lifejacket Lending Program in place – you can borrow a lifejacket from the Park Office for free! Look into this before you go! The choice of water venues in Ontario Parks is pretty remarkable! If your family enjoys recreational water activities, like fishing, boating, paddling, swimming or stand up paddling, you should definitely make plans to visit an Ontario Park this summer! If you want to go boating on a waterway located in a park, be sure to check out the park activities before you go. Some Ontario Parks restrict the use of motorized boats. It’s very simple to check, just visit the Ontario Parks website, choose your park from the handy drop-down menu and look at the list of activities for your park. If ‘boating’ is listed there, it means you’re permitted to launch a boat and hit the water! 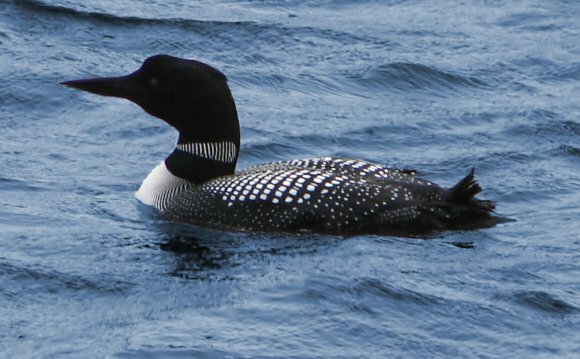 Here’s what we suggest: If you’re boating in a motorboat, go cruising along the gorgeous Lake Superior coastline at Lake Superior Provincial Park (and don’t forget your fishing rod)! Or if you’re a paddler, go explore the route options available at the spectacular Wabakimi Provincial Park (and don’t forget your camera)! Want to stargaze by boat? Head up to Mississagi Provincial Park, just north of Elliot Lake where the night skies are spectacular – up there you’ll be off the hydro grid and away from development. Sit on a pontoon boat or next to a fire on shore and see the night sky like never before! If you’re an avid boater, you should consider touring the Trent Severn Waterway system. Both Balsam Lake Provincial Park and Emily Provincial Park are located on this historic waterway route and are access points for boaters! So, who needs a boating license? In Canada, boaters are required to obtain and carry a Pleasure Craft Operator Card or have proof of competency, if the boat they’re operating is motorized (this includes boats with electric trolling motors). Although a Pleasure Craft Operator Card (or boating license) is not required for paddlers, a boating safety education is an invaluable resource for everyone who will be enjoying the waterways. Understanding capsizing risks, preventing the risk of hypothermia and knowing the rescue procedures for saving someone’s life are the same no matter which type of watercraft you’re operating. It’s important to educate yourself about water safety by taking a safety course – even if you’ll just be fishing from a dock or watching your kids build sandcastles on shore. If you’ll be enjoying the water, you should know how to stay safe when on or near the water. 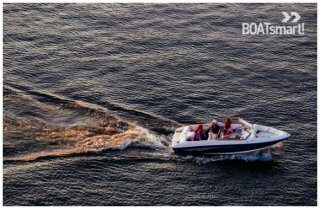 Be aware of the effect your wake has on other small boats, wildlife, swimmers and the shoreline. Always keep a proper look-out, operate your boat at a safe speed and practice situational awareness at all times. 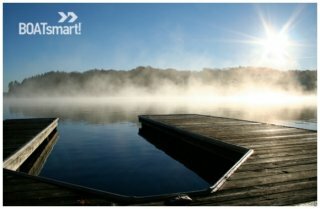 Visit BoatSmartExam.com today to take the BOATsmart!® Boating Safety Course to become a certified boater and to learn how to stay safe on the water. Use the promo code OP2015 to receive a $10 discount on your course!